The dynamic between public and private systems has always been interesting, especially in the case of water and wastewater systems. Public water systems are usually non-profit entities managed by local or state governments, for which rates are set by a governing board. On the other hand, private water systems can be for-profit systems managed by investors or shareholders. Though rates are monitored by a state’s public commission, private systems are not necessarily subject to this regulating board. Additionally, the difference between public and private is not always distinct, as we sometimes see in Public-Private Partnerships. In this post, we present some interesting facts and figures based on an analysis of national data on ownership of water utilities. The Safe Drinking Information System, or SDWIS for short, contains information on water utilities and systems located in the United States and incorporated territories. The database contains statistics on drinking water violations and associated enforcement history that reaches as far back as 1993. 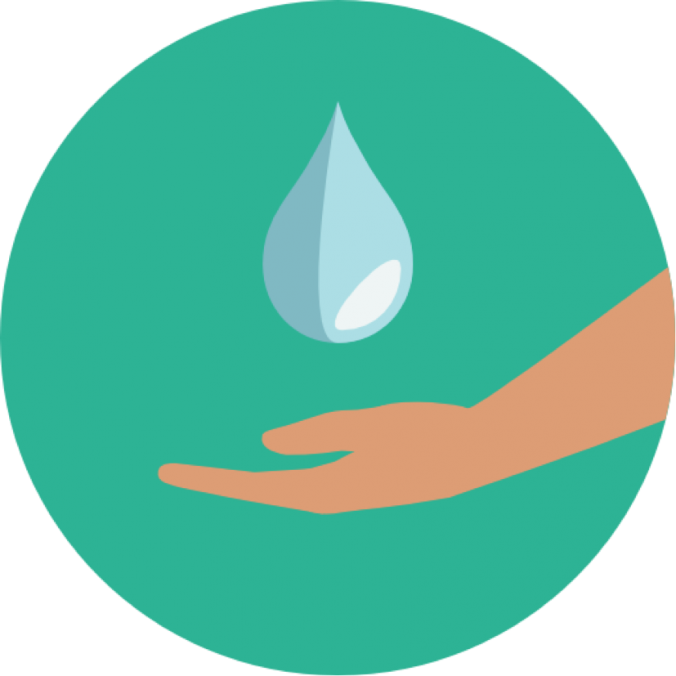 The EPA created SDWIS to keep track of drinking water information in accordance with the Safe Drinking Water Act of 1974, which implements technical and financial programs in order to protect public drinking water. The first, a simple Geography Search allows you to select a state or territory and search public water systems by county, city, or population. This straightforward method is helpful if you are looking for some quick, hard-hitting stats. The second search method available for public use is the Advanced Search Option. As suggested by its name, this search allows you to delve into more detail, including geographic region, ownership type, population, and a variety of other water system characteristics. 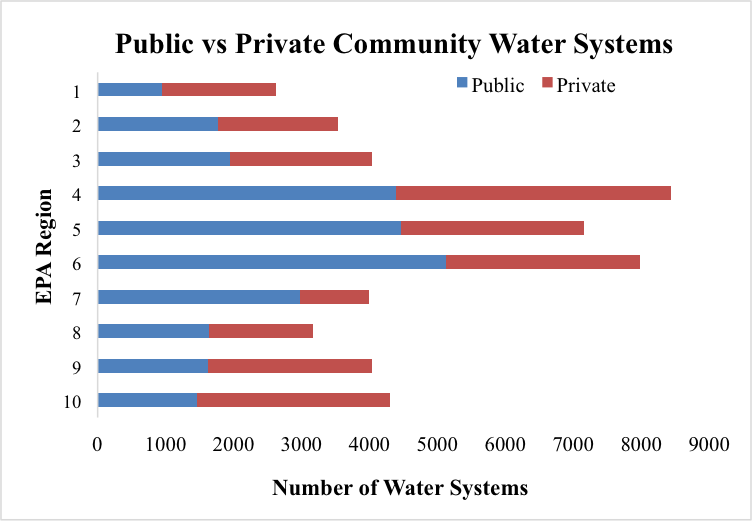 In compiling state by state water system stats, I began to notice that not only do public water systems out-number private systems in most states, but they also serve an overwhelming majority of a state’s population compared to private systems. I chose to focus on data for Community Water Systems, or systems that supply water to the same population year-round, and therefore data is solely representative of these systems. Other water systems such as Non-Transient Non-Community Water Systems and Transient Non-Community Water Systems were not included in my analysis because these systems usually provide water services for half a year or less; these systems may or may not be relevant for your own search! Efficiency, cost, and profit margins are all matters of debate, and it is difficult to say which type of ownership—public or private—is necessarily more beneficial to the customer. 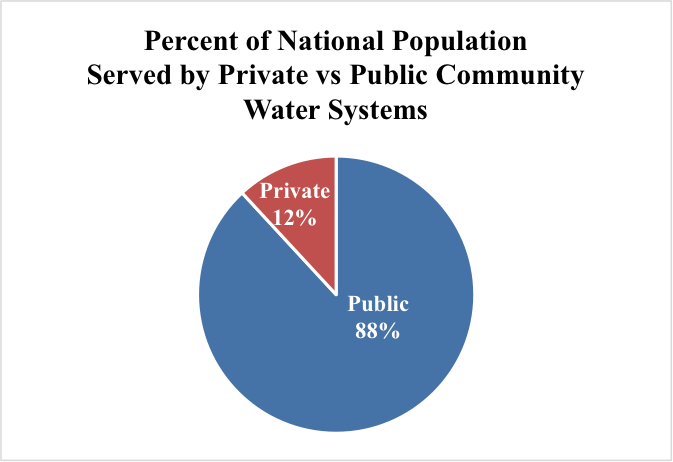 Although the figures above show that public water systems outnumber private systems overall, this fact does not diminish the important role of private water systems, which serve over 36 million people in the United States. Regardless of public or private ownership, I think we can all agree that the most important thing about water systems is that they provide access to safe, affordable, reliable drinking water for all. Andrea Kopaskie is an undergraduate student at The University of North Carolina, where she is pursuing a degree in Environmental Science with a concentration in energy and sustainability. Featured image made by Flat Icon and author Roundicons. Licensed under Creative Commons BY 3.0. Thanks for Analysis. Always interesting to me to think about all the different confusing terminologies we use for water systems. In the context of SDWIS, “public” seems to really mean “government owned” and “private” means “non-government owned.” The term “community” system means a centralized system that serves a group of customers on a recurring basis. Many states will use different terminology — for example, a state public service commission may refer to all community water systems as “public utilities” or in some states they may use the term “public utility” only to mean utilities that are regulated by a utility commission which often means they are privately owned….. Very confusing. I am from region 5, if i am understanding the bar graph correctly it tells me that in my region of the over 7000 systems approximately 4500 are public? Hi Bob! Thank you for your question. The bar graph is more of a comparative analysis of water systems per EPA region. Therefore, EPA region 5 has approximately 4,500 public systems, as you mentioned, and about 2,600 private systems. Hope this clears up any confusion! Hmm. I live in Region 9 (pacific Coat, and there, It seems there are more private systems than public . I know I personally live in an area with a “public” supply (our water district takes great pride in telling us how great our tap water is). But, does “private” include Indian reservations, or are those considered “public”? What about private agriculture? Would those be “private”, since many use the natural groundwater to irrigate their fields? Assuming any water supply will be safe, which is the more expensive for consumers, private or public? Whether public or private, the most important of all is the quality of water delivered to the homes. I am all for safe and clean drinking water. Cost follows after quality. I don’t mind paying extra for water if it can ensure my safety. I use water filters and we have a public water service. I have read your report and I am trying to find out whether Elk Grove Water Service in Elk Grove, CA in Sacramento County is a private corporation / private water company and understand the listing for Florin Resource Conservation District which is a public agency which names itself as the “parent company” in an online report. Why doesn’t FRCD have a water System IDNumber? The name of the community water service is Florin Resource Conservation district/Elk Grove Water District. you probably can’t expect someone do your homework for you can you? All this dialogue still does not explain which is safer public or private water service. In Illinois, I can say, both public and private water systems have to follow the same EPA guidelines. As we know Water filtration can provide better tasting and better smelling drinking water by removing chlorine, chemicals, pesticides, heavy metals and bacterial contaminants. Without filtering water we can’t drink it can be harmful for our health. Thank you so much for this blog.